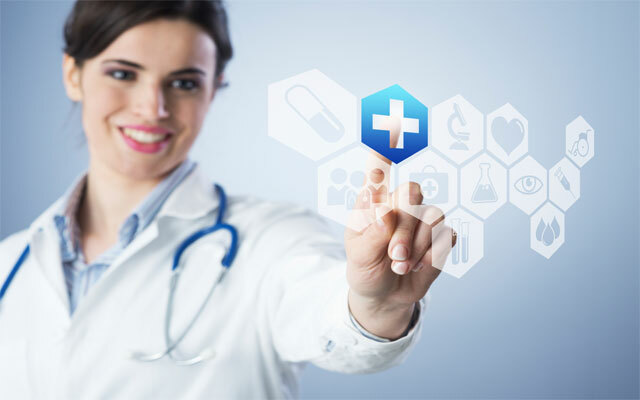 SON Technology has been providing customized IT solutions and services to healthcare organizations in the Orlando area and across the nation for over a decade. We understand healthcare’s fast-paced environment and the complex IT challenges hospitals, medical centers, clinics and private practices face every day and can help you improve your IT capabilities and data security while reducing costs. Healthcare IT Experience You Can Rely On in Orlando and Across the U.S.
Our team of experts are well versed in the healthcare industry’s specific IT needs, from supporting applications, such as Greenway Intergy & EMR, Remotescan, Opal and Tigerview, to handling EMR migrations, data storage and mobile device integration, securing patient data, and meeting HIPAA compliance regulations. Delivered project management, on-site installation and enterprise data migration services to a large healthcare facility in Lake Nona, FL. Provided a turn-key ISP solution with ongoing management and monitoring services to support an Interactive Patient Care system in 10 healthcare facilities located across the South Central U.S. Delivered and installed 1600 HP Proliant servers to 285 different medical centers located across the U.S. in support of a SCCM Enterprise Deployment and Implementation. Provided project management and on-site installation services for a 400,000 Microsoft Exchange migration for a nationwide healthcare organization. Information technology has the potential to vastly improve your healthcare organization’s productivity and quality of care. However, developing, deploying and maintaining effective IT systems takes specialized know-how and a great deal of time. That’s where SON Technology comes in. We manage your technology so you can focus on your patients. We provide complete HIPAA-compliant healthcare IT solutions to meet your organization’s needs. Whether you need to upgrade your network, improve network security, roll out new software, or simplify your email system, our suite of managed IT services saves you time and money, improves your IT capabilities, and enhances the quality of the services you provide. Your data are a valuable resource essential to your organization’s survival, so having consistent, reliable backups is very important. Our experienced engineers will implement a backup method that best meets your needs and gives you the security you want: onsite, offsite, or a hybrid approach that combines the convenience of onsite backup with the security of offsite storage. Whether you have a complete project or want to outsource a specific phase of a project, we can customize a solution to fit your needs. Our project managers combine knowledge and understanding of the IT industry with experience in healthcare IT and sound project management methodology. With SON Technology as your IT service partner, you’ll be able to improve productivity and data security, manage increasing IT demands, and control your IT budget. You’ll benefit from improved performance and security of your network, top quality maintenance and support, decreased potential for HIPAA violations, and reduced IT expenditures. Our IT experts will partner with you to customize the IT services best suited for you now and in the future. Call 407-936-2220 or contact us online for a free healthcare IT consultation.